The Rann of Kutch, or the Great Rann of Kutch, since there is a Small Rann of Kutch as well, is a great salty desert covering an expansive area of more than 10,000 square kilometres around the extreme fringes of the state of Gujarat in India, extending up till the border with neighbouring country Pakistan. 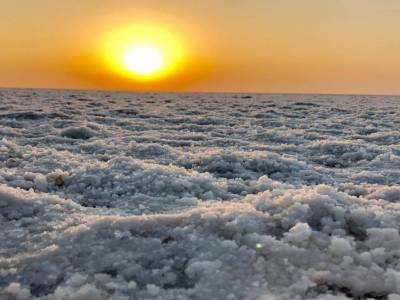 The Great Rann of Kutch is also known as the White Desert because of the sprawling white solidified sedimented layers of white salt rocks forming the main surface of the region. 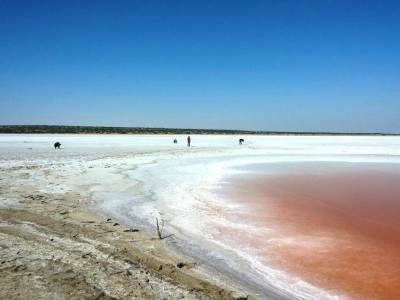 The White Desert is located upwards of the Bhuj region in Gujarat and is witness to extreme heat, especially around summer, averaging around 50 degree Celsius during daytime. 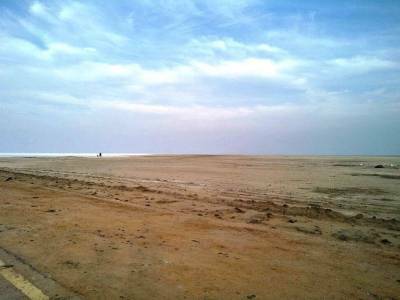 At one point of time the Rann of Kutch was a backwater table emptying into the Arabian Sea but in course of time, with the increasing temperatures and in the light of recent climatic changes, it was cut off from the Arabian Sea and isolated as a salt water marsh. During the summer seasons, the wetlands and marshes are totally dried up leaving behind huge boulders and rocks of white salt stretched over a large sprawling area, giving the place the appearance of a white desert. 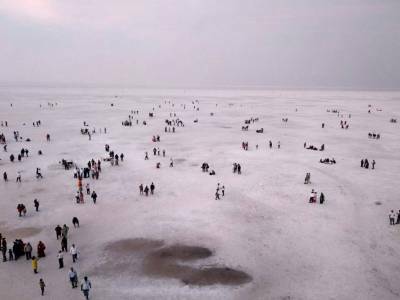 The Rann of Kutch is the only salt desert of its kind in the world present only in Gujarat in India, near the adjoining Thar Desert that spread across the states of Rajasthan and partially in Gujarat too. The name Rann is a derivative of the Sanskrit word Irina which means desert. The Great Rann of Kutch for its unique disposition of landscape influences some of the most unique species and specimens and flora and fauna which are native to this area. It is home to several Animal Conservation Parks and Wildlife Sanctuaries and Protected Ecological Parks for serving as a natural habitat to rare species of plants herbs and trees. It is a protected area not only for its wildlife and flora reserve but also for its proximity to the border with neighbouring country Pakistan. It is also home to a very interesting phenomenon which attracts many tourists to this place for the same reason, known as Chir Batti which is a strange unexplained dancing of lights at night. 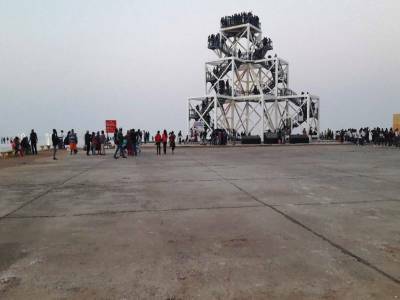 Get quick answers from travelers who visit to The Great Rann of Kutch.